Ford Motor Company released news that they are recalling 2013 Escapes due to faulty fuel lines that can potentially crack and lead to engine fires. Ford is taking the recall seriously and advising drivers not to drive the car but get it to a dealer quickly. 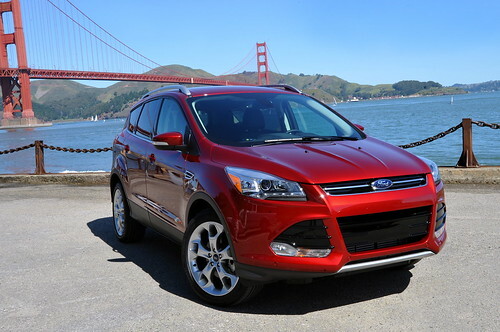 The recall affects 2013 Ford Escapes with 1.6 liter, 4 cylinder engines. So far there have been 3 engine fires reported and thankfully no one was injured. Whenever a major recall like this occurs, it is important to educate yourself about the lemon law so you are aware that if problems continue, you have rights to recourse. According to law, a vehicle cannot be considered a lemon until the dealer has been given multiple opportunities to repair the defect. Although Ford is admitting to selling vehicles with defective parts, they are taking the appropriate steps to fix them. If after bringing your Escape back to the dealer three or four times and the issues are still not corrected, then your vehicle may be classified as a lemon. Purchasing a lemon is an easy thing to do if you’re not careful. One of the shady salesman’s tricks of trade is to make the car look as good as possible on the outside in hopes the consumer won’t notice or care to ask about any possible issues under the hood. Although some salesmen and private sellers have more dignity than to purposely evade a potential issue for the sake of a sale, there are a few unscrupulous dealers who don’t have your best interest in mind. Perhaps the most unsettling fact about lemon cars is that they can be anywhere. Some dealerships even receive imported vehicles that were previously deemed as lemons, fix them up, and resell them. Who’s to say that even if you follow all of the necessary precautions, the car looks and runs good, that you won’t end up with a lemon anyway? So, regardless if your car is or isn’t being recalled for faulty parts, it’s important to be an educated buyer who is aware of the lemon law. You can find out what your states laws are by checking online or consulting with a lawyer. It is your job as a consumer to learn about the law and how it can affect you. If you do buy a lemon, it is highly suggested you get in contact with an attorney that can guide you through the process. Mercedes Potter is an elite writer who has been finding her way in the blogging world. Follow her @CedesPotter to see what else she’s been blogging about.